How to create GST Invoice ? Looking for GST return Registration and filing ? 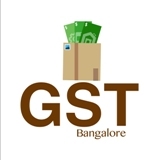 We will register your GST and Manage your GST filing activities on monthly basis. Looking for GST registration ? We will register you under GST Act with needed documents once submitted . The GST compliance are very complex & stringent and therefore, we take the complete care of all GST compliance. o Uploading of each invoice to GST Portal. o Preparation of Purchase and Sales register. o GST tax calculation with HSN Code. o Auto charging of CGST, SGST, IGST.